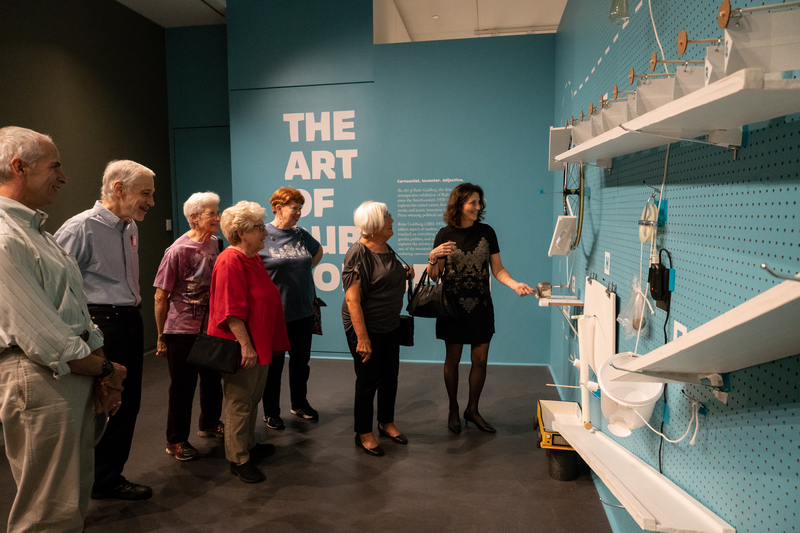 The Museum's current special exhibition, The Art of Rube Goldberg, has received some wonderful press coverage! The Washington Post calls it "entrancing." To read more of the exhibitions recent press coverage, visit our Press Room. The first comprehensive retrospective exhibition of Rube Goldberg's work since the Smithsonian's 1970 celebration of the artist, The Art of Rube Goldberg explores his varied career from his earliest published works and iconic Rube Goldberg machine invention drawings, to his Pulitzer Prize-winning cartoons, and more. Throughout his long career, Rube Goldberg (1883-1970) chronicled almost every salient aspect of modern American life. His work touched on everything from fashion and sports to gender, politics, and international affairs. 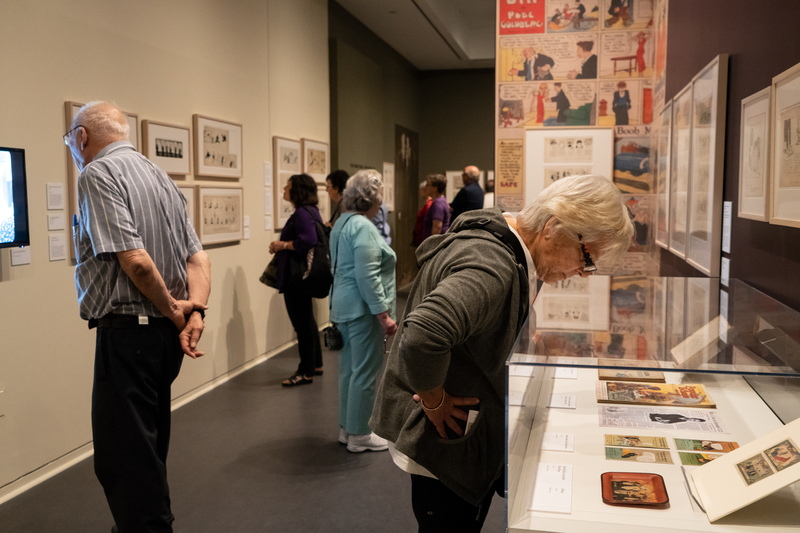 This exhibition explores the artistry and wit that made Rube Goldberg one of the twentieth century's most celebrated and enduring cartoonists - and a household name. We hope to see you at the Museum before the exhibition closes on January 21, 2019. To learn more about the exhibition, click here. Photos by Matthew Christopher Photography.